Ashburton Grove - Arsenal news and Arsenal opinion: Do Arsenal need a marquee signing this summer? Do Arsenal need a marquee signing this summer? There have been plenty of rumours so far this closed season of the players Arsene Wenger could be looking at to join the Arsenal fold for the new campaign. One already signed is Marouane Chamakh. Joining Arsenal from French side Bordeaux, the 26-year-old Moroccan international will provide us with more height and a different type of outlet than the strikers we already have on our books. It's great when we are able to do our business early. The player signs for us, know their future is secure and then can go off for their summer holiday / World Cup and join up with their new team mates for pre-season. This year is obviously more challenging due to the tournament in South Africa. Players are away with their country and that makes moving for them more difficult. But if Arsene wants a player, he won't let something like the World Cup get in the way. There have been several rumours this week. 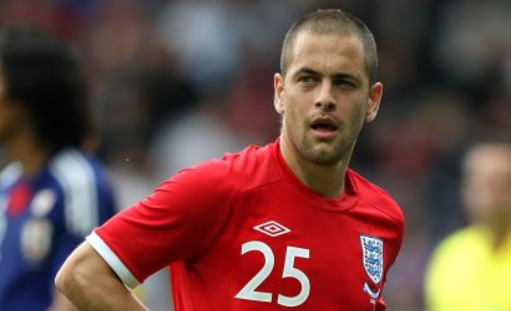 One of the strongest is our move for Joe Cole. He'll be out of contract come the end of the month and at 28-years-old provides the perfect mix of experience without being a player looking to pick up his money whilst seeing out his playing days. I've heard from reliable sources that he has 'all but signed' a deal with Arsenal and come the end of England's World Cup campaign sign, he'll on the dotted line at Highbury House. I was told the deal would see him join us for a provisional three years. It makes good sense for Cole. He'll get to stay in London and be paid the kind of salary he wanted at Chelsea. Because there will be no transfer fee to be paid to Chelsea, Cole can command the type of salary that Sol Campbell was on when he originally signed for us from the team down the road. He'll be guaranteed Champions League football and a decent chance of first team football in a side who will challenge for the Premier League and Champions League. But will Cole prove to be a marquee signing, like Andrey Arshavin was in January 2009. He is an exceptionally gifted players, who has a winners mentality, and gained experience at the highest European and international tiers of football. I feel he would add more depth to the Arsenal squad, perhaps not in the position fans feel we need, but if we are able to retain possession further up the field, our defence will not be under as much pressure as it was last season. He would, like Arshavin, van Persie and Nasri offer us more trickery in the final third of the field that would be useful when we play teams who pack their players behind the ball. Overall I feel he would be an excellent signing, although I'm not excited as I was when we signed Arshavin, that maybe due to the fact he has not played much in the past season. But with everything going to plan - Cole joining us on a free transfer - Cole and Arsenal could be the perfect match for one another.